Eighteen months ago our community collaboratively designed this ambitious vision for our school to take us through the next four years: Empowering our community of learners to create a legacy which redefines our world. Our school now finds itself in a position where we need to take the next step towards achieving this vision for all of our learners. One of the best ways forward is to place the development of a STEM agenda as a firm priority. What is STEM? And why will it support our way forward? Is it simply another educational acronym that combines learning areas? Does it merely promote ‘integration’ as a means of reaching outcomes across learning areas? Or is a new way of looking at learning where the focus lies on the processes and thinking rather than the content? Is it, in fact, a way of empowering our students to prepare them for an uncertain future, allowing them to redefine our world? Goal 2: All young Australians become: – successful learners – confident and creative individuals – active and informed citizens. are motivated to reach their full potential. embrace opportunities, make rational and informed decisions about their own lives and accept responsibility for their own actions. Our department views STEM as integral to moving forward and have given clear directions about the possible ways of implementing STEM and a mandate for certain curriculum areas to be fully implemented by 2020. To understand the imperative to move towards a STEM mindset, one must think about the skills that we are constantly being told are the ones that are going to be necessary to ensure success in the future world of work. There have been numerous reports that have emerged over the last 10 years to seek to identify those skills. Whilst they differ with their findings, there are also important commonalities that assist us to understand the importance of creativity, innovation, problem-solving, collaboration and the purposeful use of technology. So, what is STEM and what does it mean for our community? STEM is focussed on solving real problems. STEM learning follows lines of inquiry. STEM can be multi-disciplinary and the best STEM learning usually is. STEM places the students in active learning situations. STEM requires of students that they use their content knowledge in productive ways and that they connect this learning to the world around them. Students will often work together, challenging each other to consider the problem and the solution. S.T.E.M. 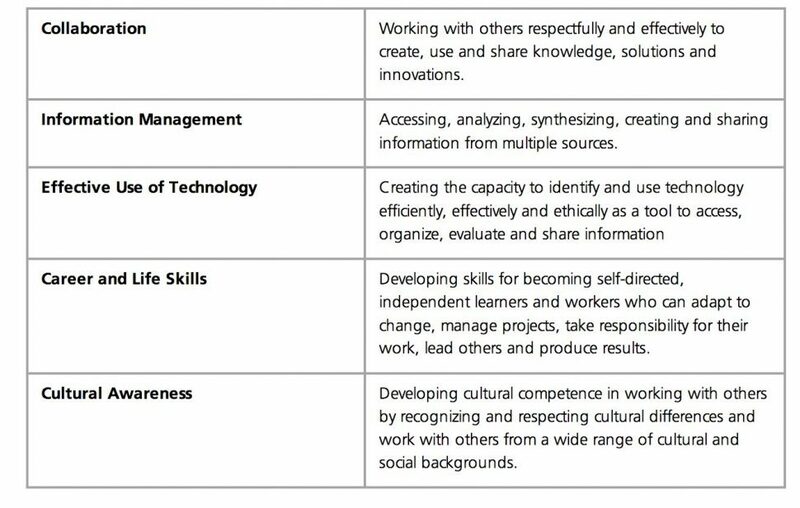 curriculum incorporates the “four C’s” of 21st century skills: creativity, critical thinking, collaboration and communication. Students work together to create innovative solutions to real-world problems and communicate their solutions with others. As they carry out their investigations and projects, they must access, analyze, and use the information they need to complete the learning tasks. While working through the task, students build important life and career skills by learning to manage their time, to become self-directed workers and to collaborate effectively with others. Using appropriate technology tools to complete their task, students discover the most effective and efficient ways to access and manage the world of digital information that is available to them. “Digital natives” find a S.T.E.M. classroom an inviting and challenging environment that incorporates their need to be interactive participants in their learning. As a school, we have done a lot of great work already. We have talented teachers, a passionate community and we have made strategic steps with the Digital Technologies Curriculum. The next steps are key to working towards a learning environment that is supportive of our learners’ futures with a focus on a STEM mindset, toolset and skill-set. STEM: What and why? by Nicola Flanagan of Oakleigh State School was originally published in OSS – Technology – Towards Transformation on 28 May 2017 and is republished with permission. Nicola Flanagan was appointed an APDL Design Minds Regional Ambassador in 2016.